Do you have a tattoo on your wrist? If so, you might want to think twice about splashing out a few hundred dollars on a new Apple Watch — or at least try one at the store to see if your ink might interfere with some of the device’s functionalities. For example, the sensors on the Apple Watch are supposed to be able to detect when the device is on your wrist so that it doesn’t lock up and you don’t have to punch in an unlock code every time you try to use it. 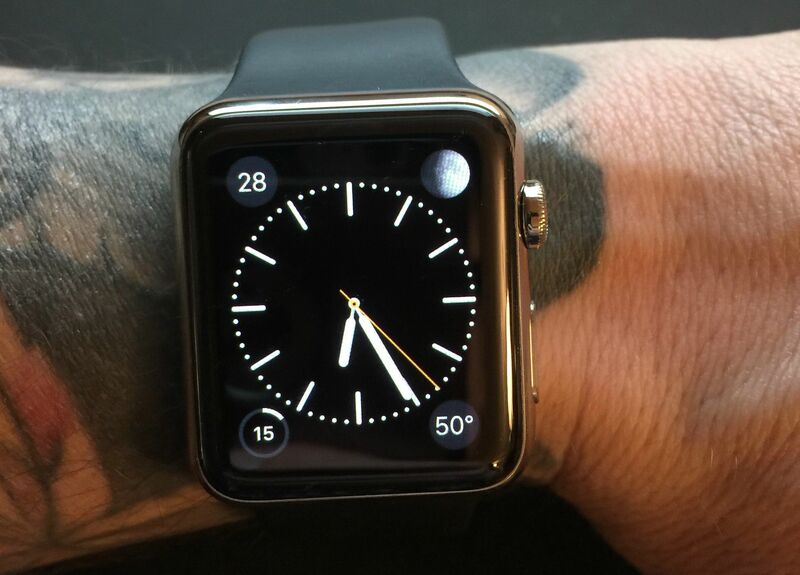 But some people, like this reddit user, are claiming that he was having trouble with his new Apple Watch repeatedly locking up until he tried it on piece of his skin that isn’t tattooed. CNN Money explains that the issue isn’t that tattoos make skin darker — the Apple Watch works on skin colors — but that tattoos make skin cells opaque to the Apple Watch’s sensors. So when the device tries to send a signal to detect a user’s heartbeat, sold-colored tattoos may be bouncing those signals back before they have any chance to detect a pulse. This appears to be especially true of red and black tattoos, reports CNN.